What is the SRW9000 Sensor? 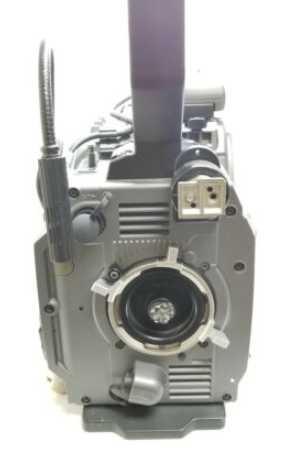 I've been seeing some of these cameras on eBay lately. ENG look but come with a PL mount. Does this use a Sony F35 sensor within an ENG style body? Yep, F35 sensor in a single-piece body with the SR tape deck built-in. To use it in 2019 youd want to make sure it has the 3G-SDI and 4:4:4 upgrade boards. Theyll allow you to get all of the goodness out of the sensor and on to an external recorder. What is the color bit depth? It's a very impressive 5.7K CCD and was the only way to get true 444 1080p for a while. In fact I think the Tron team picked the F35 because of it's ability to pull a cleaner key than anything else available. The sensor and look is unlike anything used now. Very film-like. 500asa. No rolling shutter artifacts at all. I saw this great looking short done with one not too long ago. Watch it on a big screen. Its 10-bit max. You need the F35 on the latest firmware to get 12-bit output.